Little, Brown and Company, 9780316199841, 336pp. Growing up in South Dakota, Josh Garrett-Davis knew he would leave. But as a young adult, he kept going back--in dreams and reality and by way of books. With this beautifully written narrative about a seemingly empty but actually rich and complex place, he has reclaimed his childhood, his unusual family--and the Great Plains. Among the subjects and people that bring his Midwestern Plains to life are the destruction and resurgence of the American bison; Native American "Ghost Dancers," who attempted to ward off destruction by supernatural means; the political allegory to be found in The Wonderful Wizard of Oz; and current attempts by ecologists to "rewild" the Plains, complete with cheetahs. Garrett-Davis infuses the narrative with stories of his family as well--including his great-great-grandparents' twenty-year sojourn in Nebraska as homesteaders and his progressive Methodist cousin Ruth, a missionary in China ousted by Mao's revolution. GHOST DANCES is a fluid combination of memoir and history and reportage that reminds us our roots matter. Josh Garrett-Davis has an MFA from Columbia and is currently a PhD student in American history at Princeton. 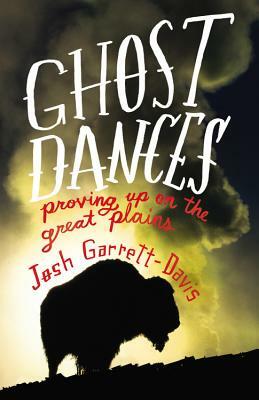 "Josh Garrett-Davis has given us a tremendous memoir-as much a narrative about himself as the cradle of the Plains where he was born. He shows us that "proving up" often means letting go, and we meet all the noble, flawed, and resilient actors of the Plains here, including bison, punk rockers, Cather, Indians, Anglo homesteaders, and home wreckers, too. A wonderful read."